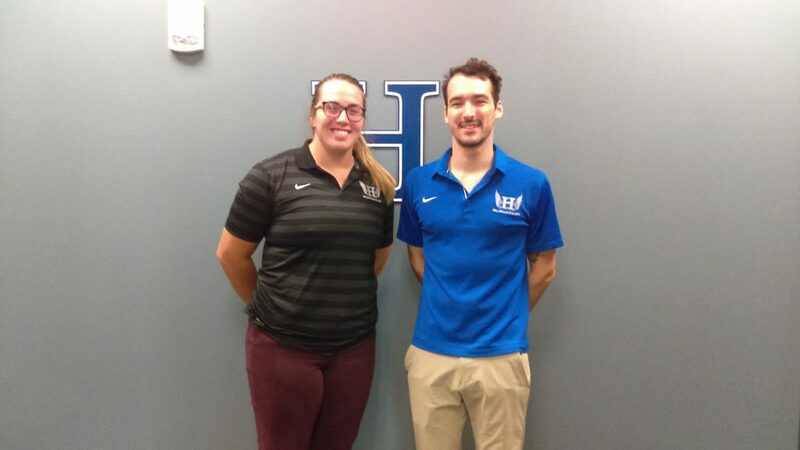 When Chargers track and field head coach Andrew Towne met with prospective assistant coaches Justin Fawley and Jessica Bridenthal, it didn’t take long for him to realize they were a good fit for Hillsdale. Fawley, a 2015 Hillsdale graduate, and Bridenthal, a Highland Games champion, are both from Akron, Ohio. Hillsdale reached their radars after they both exper­i­mented with coaching and got their masters degrees. Growing up, Fawley “played a season of every­thing,” and espe­cially enjoyed soccer, track, and wrestling. In college, however, the track was where he felt he fit best. He credits his high school track coach for encour­aging his pursuit of the sport. He always approached Fawley at his older brother’s ath­letic events. 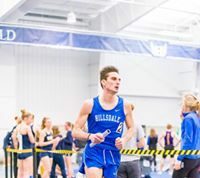 Fawley earned several all-con­ference honors during his time at Hillsdale, both in the decathlon out­doors and the hep­tathlon indoors. He also qual­ified to compete in the decathlon at the NCAA Cham­pi­onship meet in his last season. Aside from his track and coaching careers, Fawley has “hopped around” many dif­ferent jobs. Most have been on the ath­letic scene, but his job as a barista at a Hillsdale roastery this past summer allowed him to ded­icate time to his second love: coffee. As an assistant coach, Fawley said he hopes to push his ath­letes to be the best they can be. “I want to set my ath­letes up for good lives after grad­u­ation, and being the best they can be ath­let­i­cally, per­sonally, and pro­fes­sionally,” he said. Joining Fawley on the coaching staff and in the same office is Bridenthal, who attended Ashland Uni­versity, a rival school of Hillsdale’s. There, she com­peted in track and throwing as an under­graduate student. After coaching at Key­stone College in Penn­syl­vania, she saw that the position at Hillsdale was open. She con­tacted a friend and former throwing teammate from Ashland who had come to Hillsdale to coach. 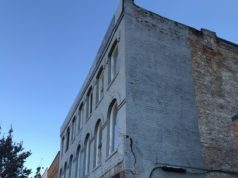 Bridenthal also enjoyed a variety of sports growing up, and before her sophomore year in college, she mostly focused on vol­leyball and bas­ketball. She played bas­ketball until her sophomore year at Ashland, when she tore her ACL and switched to track. She then began to fall in love with the “indi­vidual aspect” of track. Over the course of her career, Bridenthal has been a regular com­petitor in Highland Games and a coach in track and field. She con­siders some of her biggest per­sonal accom­plish­ments to be winning the world cham­pi­onship last year in Highland and winning the national cham­pi­onship in track and field. In fact, she still travels all over North America and com­petes in pro­fes­sional Highland Games, which she said is an “old, weird version of track” where com­petitors flip tele­phone poles and throw various objects. Off the track, Bridenthal enjoys reading and spending time with her cats. Looking back on her career tra­jectory, Bridenthal said she draws her inspi­ration from her mom and her college coach, saying they taught her what success meant. Bridenthal’s goal as a coach is to do the same for her ath­letes.